This is really a good step taken by the 13th Finance Commission to commission the protection and renovation of historical and cultural monuments strewed around our country. 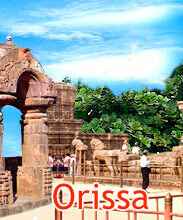 The assistance to Odissa is praiseworthy as it has be lagging behind in projecting her historical and cultural monuments in lime light and attracting domestic and international tourists. The timely plan preparation and due plan execution will ensure the flow of finance for the development of monuments. 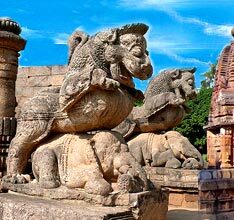 There are numerous schemes and projects of the state and central government for promotion and protection of monuments for recreational and aesthetic uses. Some of the states are proactive in this regards. Special mention should be made of Delhi, Tamil Naidu, Rajasthan and Madhya Pradesh who have done really commendable job in invigorating and rejuvenating the historical and cultural monuments for promoting tourism and allied industries in in the sector of hospitality. There are many more small and large cultural and historical monuments which are lying in neglect due to the indifference of the local, state or central government due to vagueness of the respective jurisdiction. The Ancient Monuments Protection act tries to define some of the guidelines but it is not a comprehensive one. The emphasis on tourism sector in City Development Plan preparation has led to recognition and protection of many new monuments under the urban local bodies. There are still many more to be identified and brought under the protection and preservation net of the different tiers of governance and administration.